Since I've started blogging, I've really got to know so many fascinating and wonderful people who are involved in figure skating all around the globe. One of the most compelling, in my opinion, is Elaine Hooper, a British skating historian for NISA that I was fortunate enough to have chance to interview back in June. 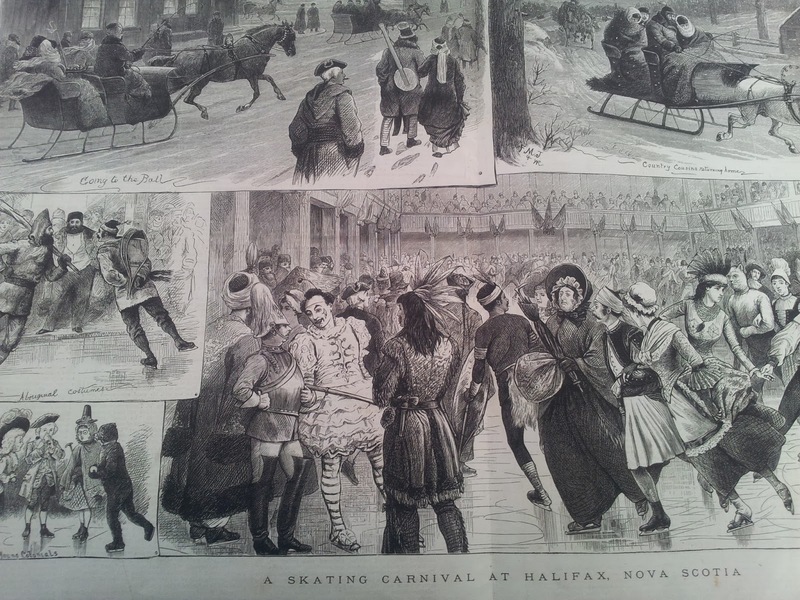 Elaine recently chanced upon some fascinating skating memorabilia that dates back to the 1800's: etchings of a skating carnival right here in Halifax, Nova Scotia dated April 10, 1880 and was absolutely SWEET enough to send me the original copy from 1880, which is undoubtedly the oldest thing I own and something I will guard with my life. Absolutely in love with these images, my first thought was to share them but my second was to try to find out where they came from and do some research about the history of figure skating right here in Nova Scotia and Atlantic Canada. Some of the information I found about skating's beginnings here in my own backyard just blew my mind. For starters, I was able to trace the publisher of the etchings. 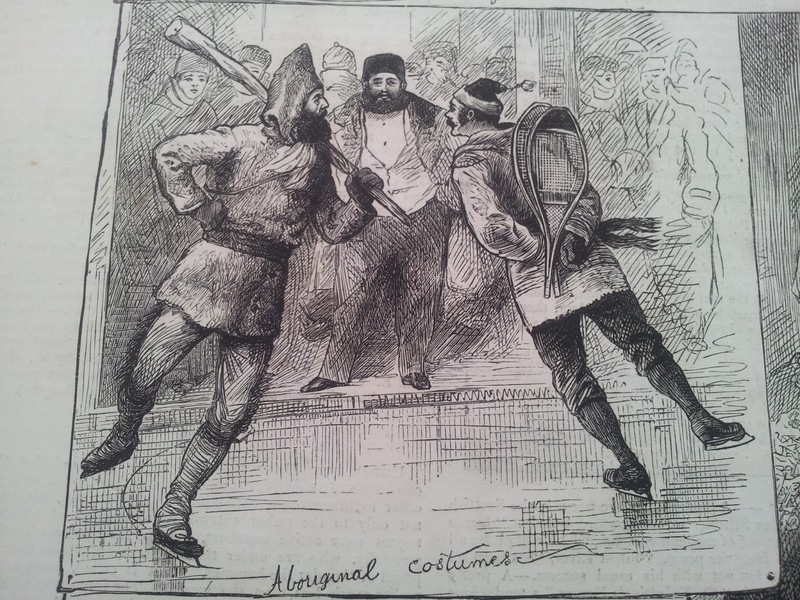 Originally wood engravings later made into prints, the images of this skating carnival were originally published in a British illustrated weekly newspaper/magazine called The Graphic (later The National Graphic) and were indeed published April 10, 1880. It's believed that these pictures depict a rink at Exhibit Hall on Tower Road and Morris Street that opened in 1880. 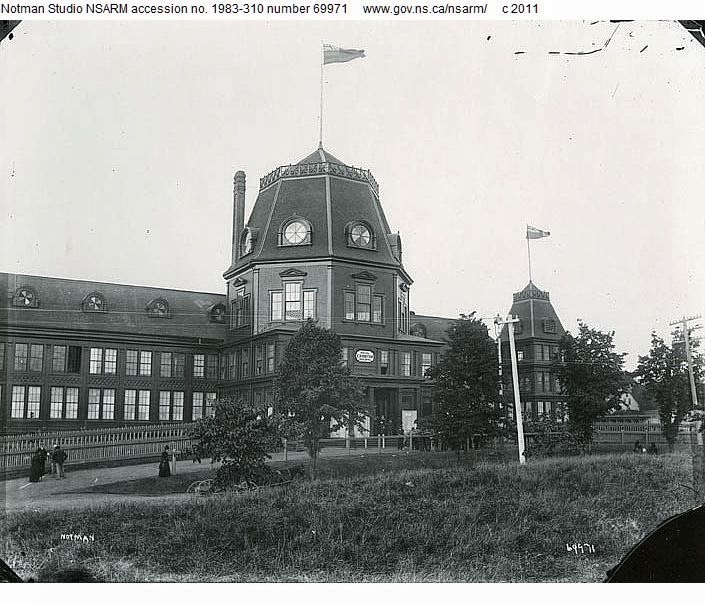 The Nova Scotia Virtual Archives explain that "another local novelty was the skating rink at the Exhibition Building on Tower Road, officially opened in 1880. 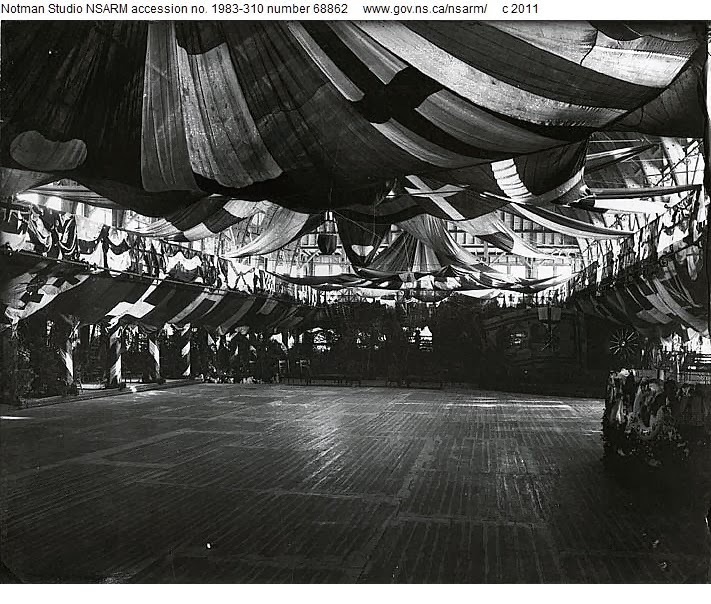 Ice carnivals were held there regularly, attracting upwards of 3000 spectators to watch hundreds of costumed skaters." So it looks as though Halifax had at least two covered rinks at that time, including the one at the Halifax Public Gardens, which we'll get to later. Trying to determine who actually designed the artwork is another story entirely: a mystery I haven't quite solved yet but am working on. Some of the other information I was able to find about skating's origins in Atlantic Canada was spotty at best but certainly full of information I didn't have a sweet clue about. Ice hockey as we know it really started right here in Nova Scotia. After first originating in Windsor, Nova Scotia, hockey's popularity moved down to Halifax. In 1872, James Creighton of Halifax moved to Montreal bringing the sport of hockey with him, as well as hockey sticks and skates. The skate design was patented by a Nova Scotia company in 1866 and featured rounded blades held onto boots by metal clamps... certainly nothing suitable for a good fashioned lutz or toe-loop, that's for sure. Creighton first acquainted the game to his friends, then in 1875 organized a group of players to practice the sport for the first time at the Victoria Skating Rink, where he created a "flat, circular piece of wood" - a puck - to replace the ball which some felt too dangerous to use indoors. After practicing for roughly a month, Creighton gave a public exhibition of the game on March 3, 1875 at Victoria Skating Rink in Montreal. Confusingly, the Victoria Skating Rink where Halifax's Creighton essentially started Canada's obsession with long sticks and balls (Hey Girl Hey!) wasn't the only Victoria Skating Rink on the go at the time. The Victoria Skating Rink was built in Saint John, New Brunswick in 1864 on the present site of the Colonial Inn on City Road and designed by Charles Walker. By all accounts, it was quite a stunning piece of architecture. 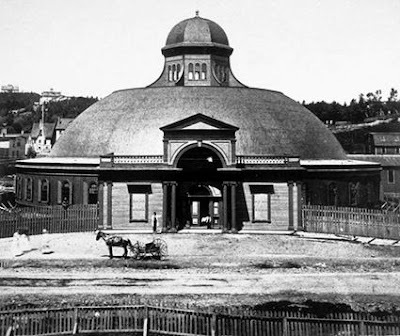 The rink opened on January 5, 1865. 50 metres in diameter, it had a circular form, 39 windows and was topped by a 24 metre high dome. The rink was open for 37 years and its annual opening for the winter holiday season was an anticipated and popular event. 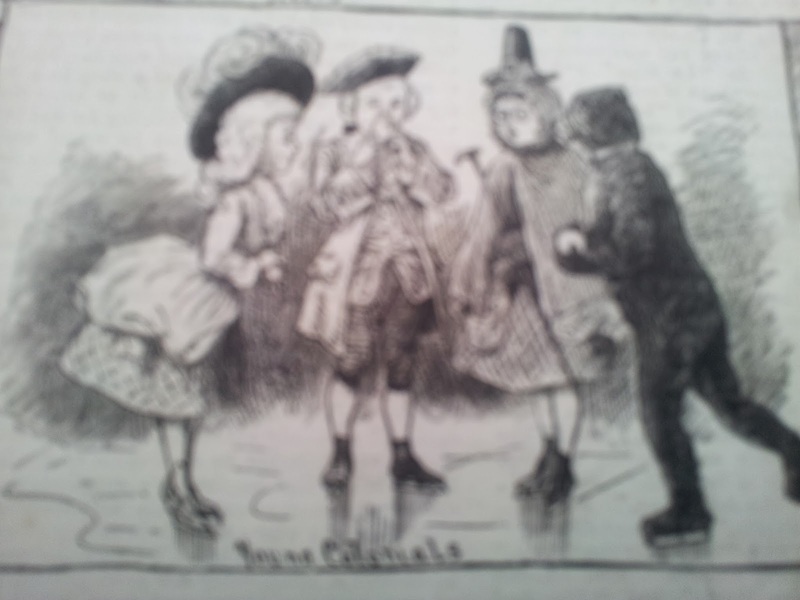 By 1900, the rink had its own brass band, which played two even a week and season tickets 'sold like hotcakes'. Those hotcakes, always selling so well! The Victoria Rink wasn't Atlantic Canada's only indoor skating rink or the first either. The East Coast's first indoor rink was built in Halifax in 1863 as a private club - the Halifax Skating Rink at the Public Gardens. The rink was constructed of wood and had an arched roof and an elevated platform to play host to musicians. Fittingly, such a grand structure as Victoria Skating Rink couldn't have been at a more significant place: the first skating club in Canada opened in 1833 on Lily Lake in Saint John. Coleen Moore-Hayes' piece "'See You At The Forum': Pleasure Skating The Cape Breton Way" was a wonderful source of information! Moore-Hayes' research confirmed that in 1936, John Quinpool "wrote in Halifax's First Thing Publishers that the earliest record of skating in America was DeMont's expedition to Acadia in 1604. Young Acadian men stationed at St. Croix, New Brunswick, hunted rabbits by skating across frozen ponds and brought their quarry down with snowballs. When the settlement was transferred to Port Royal, Nova Scotia, a year later, that community was credited with establishing the first permanent skating rink in Canada". Moore-Hayes went on to explain that in 1861, the first metal-spring skates were produced in Halifax and they were popular sellers not only locally but internationally as well. 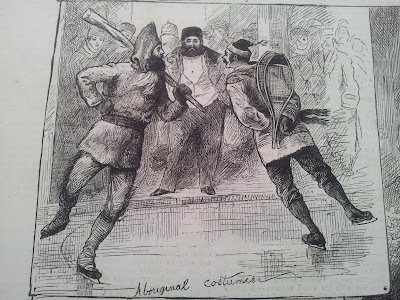 Here's where it all sources back to those etchings: "In the late 1800's, party-goers dressed in formal attire would attend costume balls and carnivals in skating rinks. Platforms and chairs were built at the edge of the ice surface and patrons would be treated to games, music and entertainment." The puzzle comes together! Check that out. Right some fancy! What about Cape Breton? It's not all bagpipes and Rouge Fatale fan clubs, you know. It turns out most of the early rinks in Cape Breton were outdoor and owned and operated by churches. In Sydney, St. Theresa's Parish rented a plot from the Dominion Steel And Coal Corporation and turned it into an outdoor rink in 1936. Hockey teams played there and skating parties were held every Saturday night, weather permitting. Music became a popular part of outdoor pleasure skating. 78 r.p.m. records were played on gramophones with a horn used to amplify the sound at the Sydney rink. The Arena Rink on Inglis Street was Cape Breton's first indoor skating rink. It was replaced in the 1930's by the Sydney Forum. Pleasure skating in pairs to live bands was a popular tradition at the Sydney Forum. Well, we've talked a lot about rinks and etchings, but what about figure skating itself? The Halifax Skating Club holds the distinction of being one the oldest skating clubs in Canada. Founded in 1862 and surviving two World Wars and the Halifax Explosion, the club currently finds its home at the Centennial Arena after being first started on Griffin's Pond in the city's downtown Public Gardens. "It was a large wooden building, well lighted for use at night. It had sumptuous dressing rooms and a band platform at one end. Every evening on the 180 by 60 foot ice surface, skaters danced and skated to the music of military bands. Such was the popularity of the sport at this time that within three weeks the directors were forced to close the membership," explained Shirley Ellis on October 4, 1964 in the Mail Star. That rink at Griffin's Pond survived until 1889 when it was torn down. 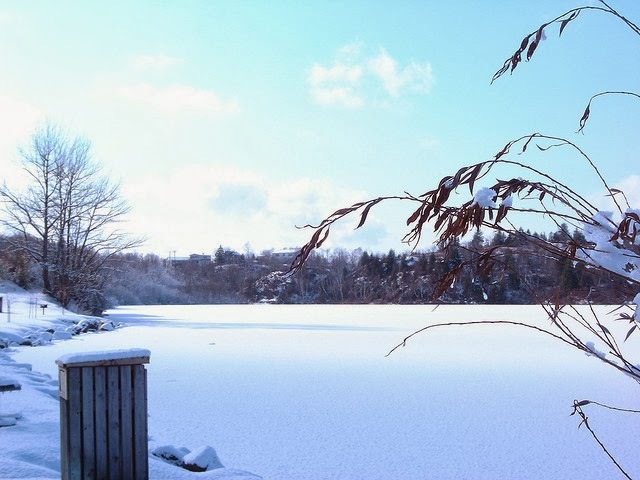 It's believed that the rink at Griffin's Pond's demolition was related to the construction of the grander rink at Exhibition Building on Tower Road, which officially opened in 1880. Skating clubs slowly popped up along the South Shore, Eastern Shore and in the Annapolis Valley, Cape Breton and everywhere in between. The rink I grew up skating in for the most part was the Eleanor Pew Morris Memorial Arena in Chester, Nova Scotia, which was founded in 1969. As skating clubs developed, so did their skaters. Marie MacNeil and the late Rob McCall, both of Nova Scotia, won the Canadian ice dancing title in 1981. McCall went on to win another 7 Canadian titles with Tracy Wilson as well as the 1988 Olympic bronze medal before turning professional and touring with Stars On Ice until his tragic death at the age of 33 in 1991. John Mattatall of Wallace won the Canadian bronze medal with partner Mylene Brodeur in 2009 and had a very successful international pairs career. With 20 Nova Scotian skaters off to the Skate Canada Challenge hoping to qualify for Canadian Nationals, the future certainly looks brighter than ever. Skate Guard is a blog dedicated to preserving the rich, colourful and fascinating history of figure skating and archives hundreds of compelling features and interviews in a searchable format for readers worldwide. Though there never has been nor will there be a charge for access to these resources, you taking the time to 'like' on the blog's Facebook page at http://www.facebook.com/SkateGuard would be so very much appreciated. Already 'liking'? Consider sharing this feature for others via social media. It would make all the difference in the blog reaching a wider audience. Have a question or comment regarding anything you have read here or have a suggestion for a topic related to figure skating history you would like to see covered? I'd love to hear from you! Learn the many ways you can reach out at http://skateguard1.blogspot.ca/p/contact.html. You're A Mean One, Mr. Cinq! Kurt Browning: 6.0 Of His Best Programs EVER!